Blue Thumb is hosting this two-day volunteer training for those interested learning how to monitor local streams and creeks. The training will provide prospective volunteers the skills needed to monitor local creeks and streams and help keep their local bodies of water clean. Day One of the training will provide attendees with an introduction to Blue Thumb, Project WET, and the Oklahoma Conservation Commission. It will also teach people how to use the various educational tools that are available to Blue Thumb volunteers. The training will include an overview of various ways you can participate as a Blue Thumb volunteer, with a focus on volunteer education opportunities. 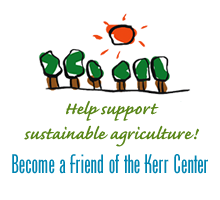 Participants will also learn about water quality, watersheds, nonpoint source pollution and other topics through a series of educational activities which you can then use to educate members of your own community. Project WET (Water Education for Teachers) will be included and all participants will receive the Project WET 2.0 activity guide and materials at the end of the day. The day will also include visiting a local creek to discuss the creek’s ecology and biology, including getting in the water to look for bugs and fish. For those interested in monitoring a local creek or stream, you will need to attend this training and also register for the Monitoring Training, scheduled for the next day in the same location. If you are not interested in monitoring but want to be a volunteer educator or learn about other ways to volunteer or just learn about the Blue Thumb program in general, you will only need to attend this one-day training on the 11th. Day Two of the training will cover stream ecology and the Healthy Water, Healthy People Monitoring Guide. Day Two will also teach attendees how to conduct water quality tests. This training will cover all of the monthly chemical tests conducted by volunteers at their local creek or stream. It will also discuss the test results, what they mean and what they reveal about water quality and nonpoint source pollution. The day will include visiting a local creek to perform all of the required stream-side testing procedures and then returning to the indoor location to perform the chemical tests volunteers conduct every month. 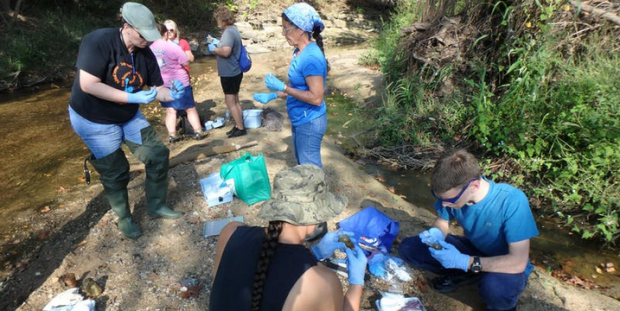 For new volunteers who have only taken the one-day introduction to Blue Thumb Training, this monitoring training is mandatory before you can begin to monitor your creek. All volunteers who have been trained in the past but would like a refresher course on their chemical tests are also welcome and encouraged to attend. This two day event costs $25 for both days ($15 for Day One and $10 for Day Two). For more information and to register for this training visit www.bluethumbok.com. You can also email Candice Miller with any questions. Blue Thumb and Project WET are programs of the Oklahoma Conservation Commission.